Our 6-Drawer Dresser is the most economical way to add storage to your home. 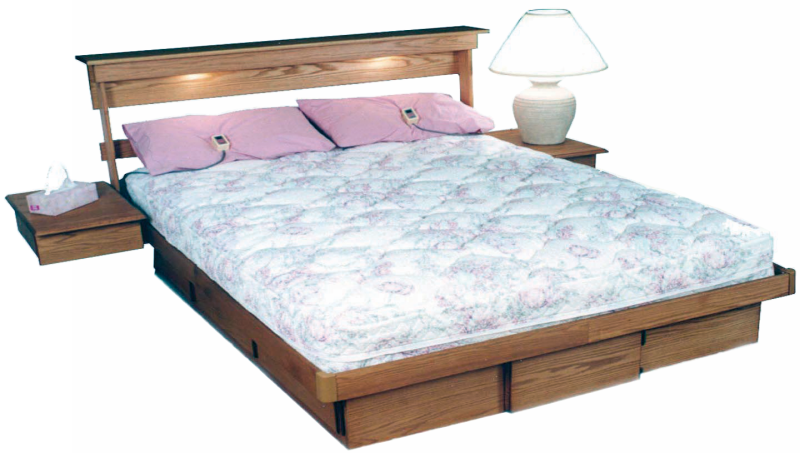 It eliminates the wobbly, squeaky steel bed frame, making your bed far stronger, more rigid and dust proof. 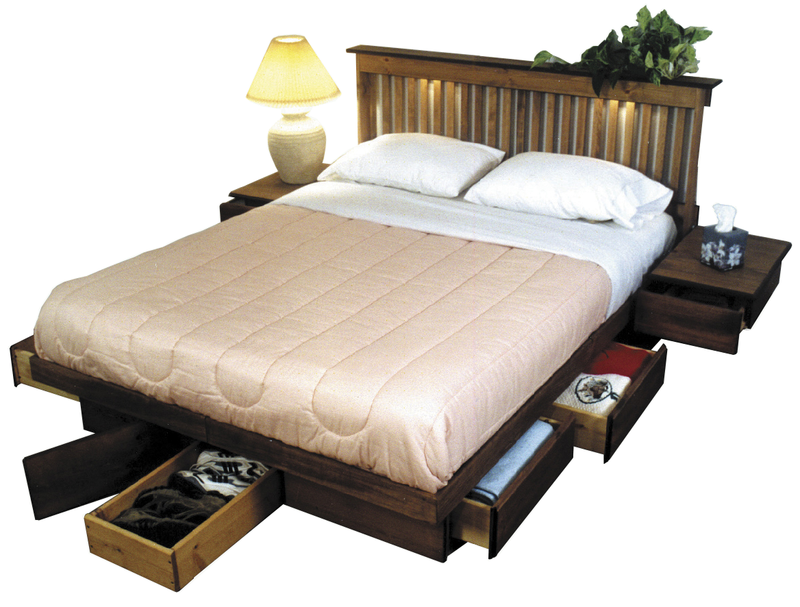 It can be used with or without a box spring, and the large drawers provide lots of storage without using any floor space. The long end drawers (4-1/2 Ft.) are great for long and bulky items; also perfect for shoes, purses, guns, wrapping paper, etc. A unique feature allows you to increase storage (by up to 18 drawers) at any future time by simply increasing dresser height. Best quality. 50 Year Warranty. For more details, or to get quote, scroll to bottom of page. One 4-1/2 Ft. End Drawer "Optional"